Welcome to the Natural Parents Network Green Back To School Guide! If you still need to complete your back to school shopping or find a back-to-school gift for a friend, the NPN Green Back To School Guide is full of awesome products and essentials for back to school experiences. But what’s even better, the NPN Green Back To School Guide has eco-friendly choices for almost any Back To School products you will need! In addition, the companies that have provided items for review and giveaway are almost exclusively made up of small businesses and Etsy shops. and lastly, an Eco Friendly Boogie Board! As you scroll through our Green Back To School Guide, we encourage you to click on the links for each of the reviews and read them in full. Our authors have crafted thoughtful posts on each participating company with pictures of and links to products that are simply perfect for our natural parenting families. You can enter to win every giveaway by using the Rafflecopter system below. Please note that every review post has the same Rafflecopter script, but you may enter only one time, and at one site. Even if you don’t win one of our fabulous prizes, please consider spending part of your Back To School budget at one of these small businesses. By supporting small businesses, you are helping families, boosting local economies, and supporting ethical practices of manufacturing, production and selling. This is a Joint Review and Giveaway of the Insulated Lunch Bag and Bynto Lunchbox Container from Goodbyn between Natural Parents Network and A Little Bit of All of It. A small company in Naperville, IL, Goodbyn set out on a mission to reinvent how kids eat lunch and to develop products that solved the one-time-use packaging dilemma. The Bynto is a wonderfully designed lunchbox container made up of three compartments to keep food separated. Now you can pack juicy foods in right next to your dry foods and not worry about it getting mushy and flavors are kept separate as well! Pair the Bynto with the super cool Insulated Lunch Bag (which it fits in perfectly) and you are set! 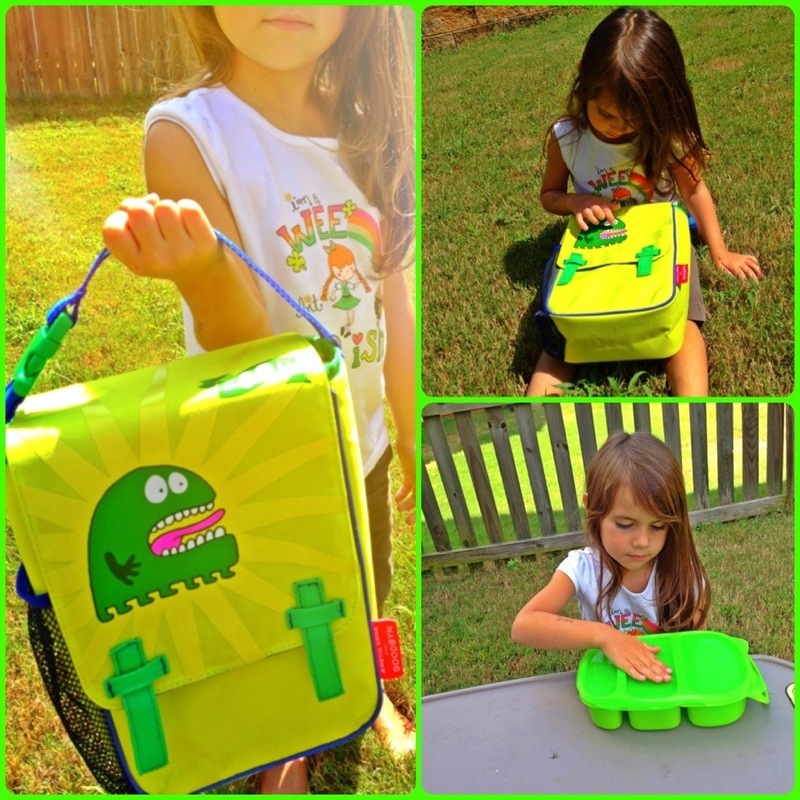 The Insulated Lunch Bags have neat kid-friendly designs while also catering to the practical. There’s a place for a drink on the side, a pocket inside for an ice pack, an outside pocket for a napkin and closes with a zipper and flap. You can even pull out the liner for cleaning ease. Although my four-year-old is not in school at this time, we frequently pack a lunch to eat out and about. Because of this, the Goodbyn Insulated Lunch Bag is perfect for us! We typically leave the house in the morning and eat a little later in the afternoon so keeping cold foods cold is important. I love the pocket for a drink and the sturdy handle. It’s easy for my daughter to hang on to and also has the option of unbuckling so you could throw it on your diaper bag or a stroller if you use one. I love that the designs are fun and kid-friendly but are not branded characters. And the fact you can pull out the liner to clean is ingenious, an awesome feature! The Bynto lunchbox container sure is handy! I love that instead of multiple bags and little containers, I can just use one container but still keep food separated. The Bynto fits perfectly in the Insulated Lunch Bag while still leaving room to fit in some other bags/containers if you need to. The Bynto is not completely leak proof so it’s not recommended to put something like soup in it, but dips and thick sauces should be just fine. The 3 compartments are generously sized with one being quite large (2.1 cups), then the middle a bit smaller (2 cups) and then the last being a smaller size (1-cup). They are deep as well. I really appreciate the easy on/off lid designed for little hands, too. Goodbyn sells other smaller containers, bottles, and ice packs (made with water, not that scary blue stuff) as well as dishwasher-safe sticker sets! 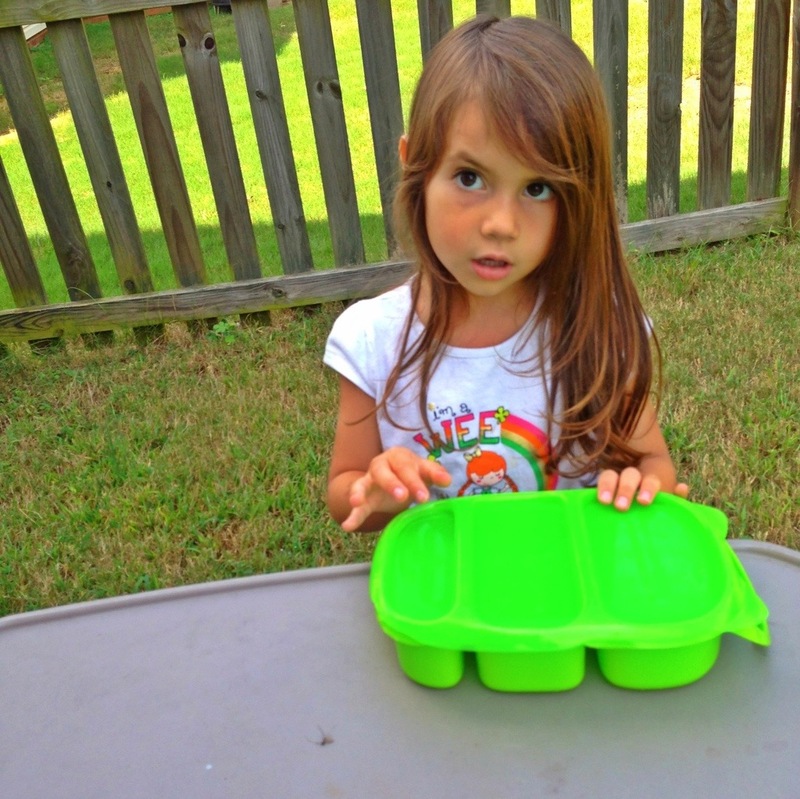 All of their containers are BPA and phthalate free and 100% recyclable. You can purchase your own Insulated Lunch Bag and Bynto at Goodbyn for $19.49 for the bag and $9.50 for the Bynto. Other products range in price from $7.00 to $1.75. Enter by leaving a comment and using our Rafflecopter system below. Mandatory Entry is specifying which set you would want if you win, all other entries are bonus entries. 12 Responses to "NPN Green Back-to-School Guide & Giveaway Bash! CLOSED"
These items would be great to include in my lifestyle change to nature! Thanks for the education! I would LOVE to win this for my niece since my own children are too old too appreciate this! Our 6 year old son would enjoy this. My kiddoes would all love this set – so many goodies! My daughter will enjoy the gift set! My daughter would love the lunch box set. Thanks for enlightening us to some wonderful companies and safe and eco-friendly products. My boys are too young for school so we would all use these at home if we won… fingers crossed! I have two kids in school so they would share it all! My son will enjoy the back to school gifts! He’s loving school.